Posted April 23rd at 12:00am. 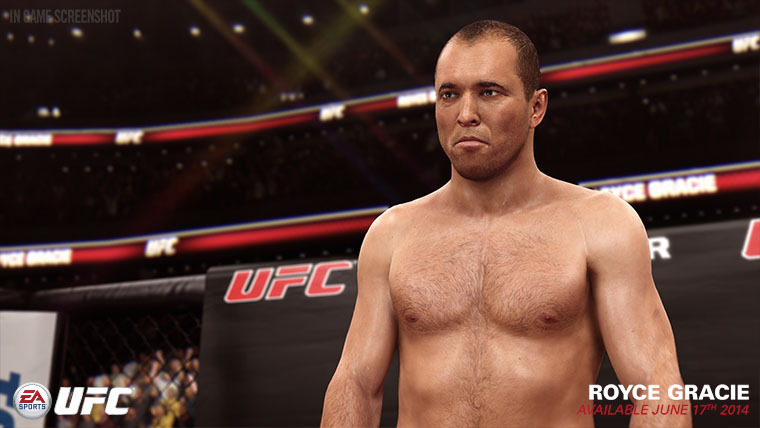 EA SPORTS UFC is proud to give gamers the chance to hit the Octagon as one of the greatest legends in UFC history – Royce Gracie. Winner of the first-ever UFC tournament, the original Ultimate Fighting Champion is ready to roll again on PS4 and Xbox One. Fire up your copy of EA SPORTS UFC and start fighting! Finishing EA SPORTS UFC on Pro difficulty or higher will unlock the legendary Royce Gracie for play in the UFC’s Middleweight division. 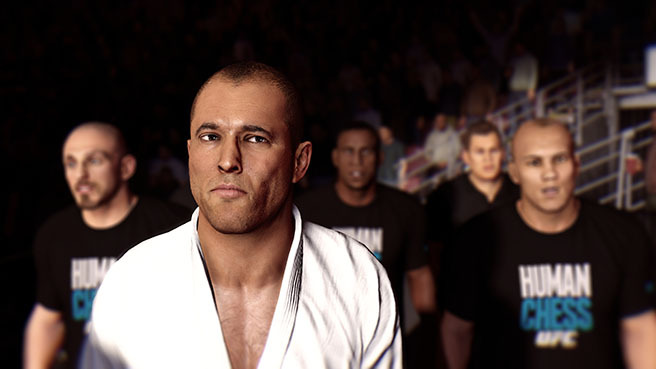 Royce Gracie can be purchased for $1.99 through PSN or the Xbox Live Marketplace. Pre-order information for international retailers coming soon. © 2014 Electronic Arts Inc. EA, EA SPORTS and the EA SPORTS logo are trademarks of Electronic Arts Inc. EA MAY PROVIDE CERTAIN INCREMENTAL CONTENT AND/OR UPDATES FOR NO ADDITIONAL CHARGE, IF AND WHEN AVAILABLE. Ultimate Fighting Championship®, Ultimate Fighting®, UFC®, The Ultimate Fighter®, Octagon Girls®, Submission®, As Real As It Gets®, Zuffa®,The Octagon™ and the eight-sided competition mat and cage design are registeredtrademarks, trademarks, trade dress or service marks owned exclusively by Zuffa, LLC and affiliated entities in the United States and other jurisdictions. All other marks referenced herein may be the property of Zuffa, LLC or other respective owners. Any use of the preceding copyrighted program,trademarks, trade dress, or other intellectual property owned by Zuffa, LLC is strictly prohibited without the express written consent of Zuffa. All rights are hereby expressly reserved.